We offer a wide range of Ultra Sound Proofing systems for commercial as well as residential purposes. Our Sound Proof Cabin, Equipment are widely in used. We offer our clients Ultrasonic Noise Control Cabinet that is highly effective in reducing low-frequency noise. These Cabinet are manufactured using superior quality raw material sourced from reliable vendors. Quality checked on various parameters, these parts are accurate in dimensions, have high strength and can withstand adverse temperature conditions. 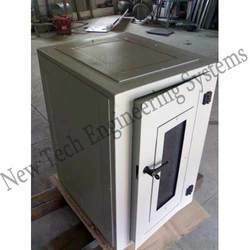 Further, we offer these Ultrasonic Noise Control Cabinet at industries leading price. Looking for Ultrasound Proof Enclosure ?